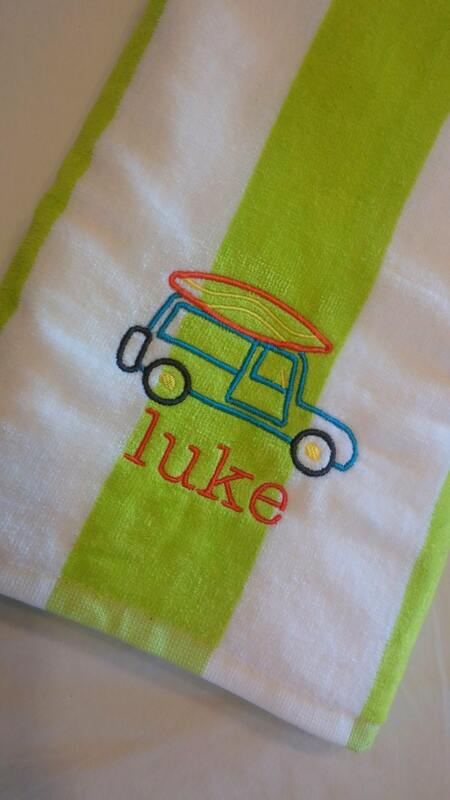 This fun towel features a fun surfing woody wagon with an embroidered name below in a cute all lowercase typewriter font. 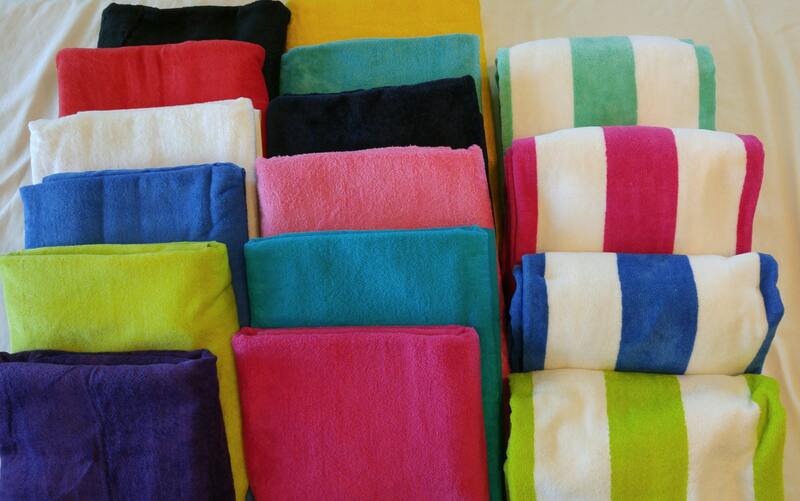 Default colors for design will be shades of turquoise, lime, orange, yellow or black depending on towel color. Please feel free to specify embroidery colors you would prefer! Please see my store for other new fun surf designs! 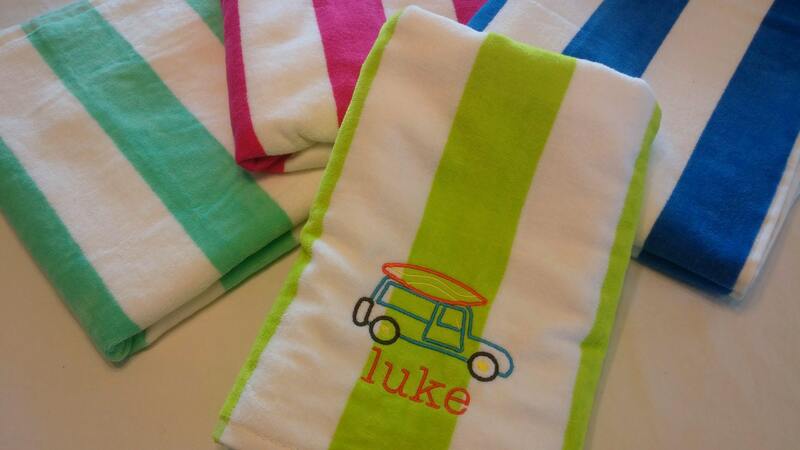 Great gift for child headed to the beach, swim lessons, neighborhood pool or backyard pool! Can be used as party favors for a beach themed summer pool party! Or, just a fun towel to have at home! Needing a large quantity for a group or family vacation/reunion/swim team/party? Please contact me for specifics and combined shipping! Custom orders are welcomed, please send a message with request! Any specific color/font variations you would like. Love to combine shipping! Please contact me for multiple orders. All items come from a smoke-free home. If you have questions or a specific request, please feel free to contact me! I do have additional towel designs available, please see my shop. Feel free to send a message if you have a specific request! Got my order promptly and it looks great!!! This seller has excellent communication. Probably my best experience on Etsy, and I have shopped on here heavily since 2011. Thank you!! !